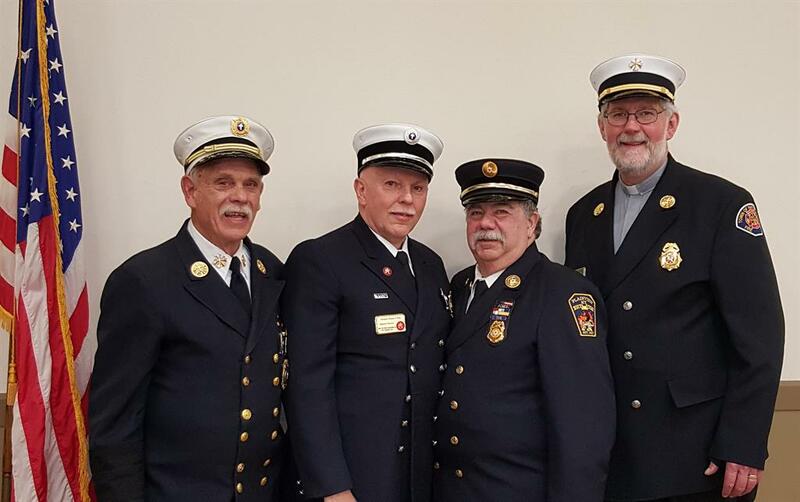 Welcome to the Home Page of the New York State Association of Fire Chaplains, Inc. The mission of the New York State Association of Fire Chaplains, Inc. is to unite all Chaplains of the State of New York in order to promote a deeper and wider knowledge of one another in the true ecumenical and interfaith spirit; and to establish statewide procedures of standardization in serving our fellow firefighters, Emergency Medical Services (EMS), and God, our supreme Chief. The officers of our association (L to R - Past Chief Chaplain James Van Houten 2016-2018; Thomas With - 2nd Deputy Chief Chaplain; Chief Chaplain William Mayo 2018-2020; and Leon VanWie, 1st Deputy Chief Chaplain.